Cosey Fanni Tutti’s background in industrial pioneers COUM Transmissions and Throbbing Gristle lent her subsequent work with fellow TG member Chris Carter (as Chris & Cosey, and then Carter Tutti) a uniquely shady sound palette. This nicely countered an inherent tendency in new synth and drum tech that made contemporary ’80s pop and today’s EDM so saccharine and symmetrical, a sensibility much more convincingly concentration camp-like than what her groups were camply and subversively referencing in their artwork and content. At 67 years old, and 36 years after her debut solo album ‘Time To Tell’, this is still the case. 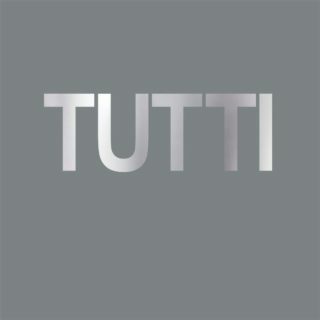 ‘Tutti’ is a wonderfully free-feeling, experimental album that nonetheless retains some of the irresistible, limbic-invading low end pulse of her and Carter’s ‘Walking Through Heaven’ or ‘Dancing with Ghosts’. The self-titled opener does just this, dropping us on a pummelling bass sequence with an ace delay-inflected cornet line. It remains steadily beat-oriented before a swing into something crunchier and more obtuse around ‘Split’, contemporary production ever so slightly smoothing the edges. She mumbles sweetly on a couple before ‘Orenda’ closes out the LP. This release seems fairly tightly controlled as journos weren’t allowed mp3 zips and, having spunked all my streaming log-ins, the preceding track-by-track map might be very wrong. It’s a testament of a sort that, virally bed-ridden, I had this record on repeat for days without making notes and zoned out to a musician who’s withstood the decades better than almost any peer.